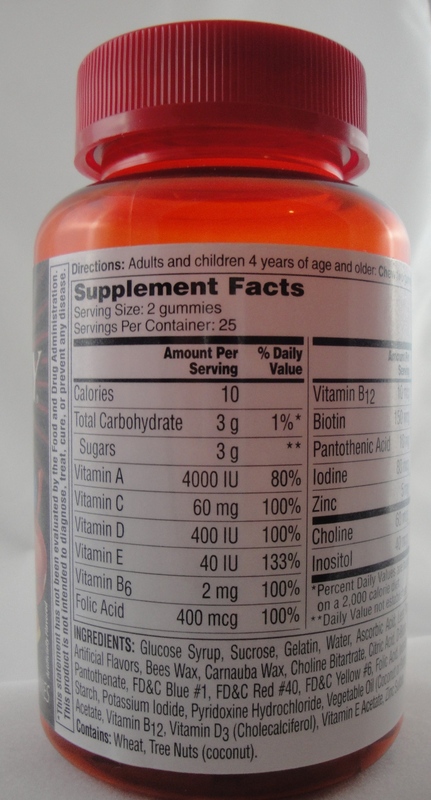 I wonder how many parents are guilty of eating their children’s gummy bear vitamins? I know I am. At this time, besides the occasional children’s gummy vitamin, I take Vitamin D. Doctors in the Northwest recommend extra Vitamin D. In the past, I’ve taken multivitamins, but they taste bad, are difficult to swallow and sometimes cause me to vomit. 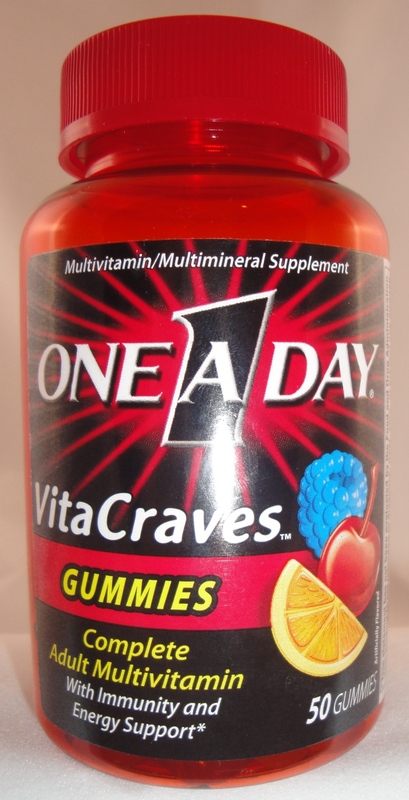 While reviewing the nutritional content of my multivitamin(which I almost never take), I realize the VitaCrave gummies from One a Day® are lacking in nutritional content. There is no Iron, Calcium and Magnesium. I find this to be true of all the gummy multivitamins(children’s as well). Gummy vitamins add sugar and calories to your diet, but if you can’t get the regular tablets down, the extra sugar is worth it. Major challenges I’ve encountered making candy vitamins include adding iron (turns a nasty green color) and adding calcium (bulky). My kids have the Lil’ critter gummies that are sold at Costco. Sometimes I buy the Disney gummy vitamins, but prefer the higher vitamin content in the Lil’ Critter gummy. Both of the kids gummies use natural flavors and natural extracts for color. The adult One a Day VitaCraves use artificial flavors and FD&C colors, but they have far higher nutrient content than the children’s gummies. 2) Red Cherry: Sour cherry, then soapy, seems unbalanced, ends up lingering with nice authenic sweet cherry note. 3) Orange: starts nice peely orange, moves to burnt Vitamin B taste, then bitter peely note, strong sourness and bitter flavor lingers. 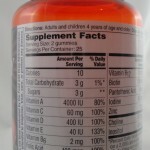 Children’s gummy vitamins taste better, but VitaCraves have a more impressive vitamin content.